Use this weight loss calculator to get a fairly accurate estimate of how many calories you need to start off eating to lose weight. You'll keep making changes every 2-to-4 weeks in the amounts of calories, protein, carbs & fats you eat based on the results you're getting. You could use the food journal to add enough protein to enhance or maintain your curves as you lose weight. To lose weight or build muscle a ratio of 40% carbs, 40% protein and 20% fats is a good place to start. You'll be able to find out how much water you need to drink to also prevent you from getting bloated or retaining water. Please Note: not drinking enough water causes you to retain water making you gain unnecessary belly bloat. See how to get a flatter stomach in a week for more on dealing with false fat. Using a reverse food journal will prevent you from cheating and keep you more prone to eating ONLY what you have already written down in your reverse food journal. Don't forget to keep a workout log! 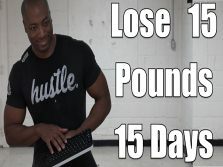 Keep a fat loss workout log to make changes in your workout to lose weight faster by working out harder, longer and/or more often. Keep a muscle building workout log to gain muscle or curves faster by being able to beat your last workout by lifting heavier weights, doing more reps and/or sets. 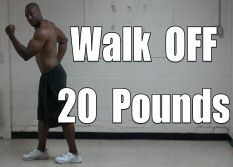 I am a 26yrs male weighing 240 pounds and 5.9 height, could you please suggest me a fat loss plan. I'm 5'9 and 149 pounds. Ive done the whole 30 but stopped at 6 days and I only lost 3 lbs. My goal weight is 135/130 which I know is very skinny for my height but its my goal. Which diet should I follow that will work super fast? I hope to get it within 2 months or atleast some major results, thanks! Hi my name is Sherri, I am 5 5 as of today I'm 188 pounds. January I was 160 and my father got sick so I gained 30 lbs. I am now having a hard time getting this back off. I need some help I don't want to go back to where I used to be if I don't lose it now I won't. please if you could help me with this I would be forever grateful! I just turned 60. last year I decided by the time I was 60 I would be less weight and in better shape. I began with portion control, lots of water and gardening as my extra excercise. I then hired a trainer. I workout for a half hour 2 times a wek. 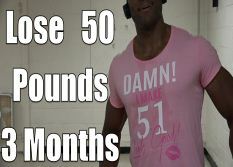 In 15 months I have lost 50 pounds and 24 inches. My journey was about self control. I am an emotional eater. I am now in the middle of much change and I have to see another 20 pounds off. BUT it has been not thru diet as much as praise and worship and really looking within for strength. You can do this with small life style changes. And a heart of commitment to the vessel he gave you. Hello,I'm about 5'11 or 6ft., and I weigh about 180. I have lost about 45 lb, and I eat about 30 grams of carbs in the morning, and I have plenty of protein in my diet. I'm trying to figure out how much fat and how many carbs i need to lose that last bit of fat around my waistline. I do "Insanity" workout everyday. I'm trying to lose this fat quickly. Thank you. I am aiming to lose about 15-20 more pounds in the next month. I am determined!! Thanks! Im a female, 5'9, 180lbs @ 31 years of age. My BMI is 30%. I just started weight strength training twice a week but Id like to add cardio once a week w/o losing weight but building muscle to replace what is being remoVEd from the BMI. my diet is lots of protein & grains. can I include carbs w/o the worry of belly fat? Hey Adrian Bryant!! First off big fan, second I have a question. I'm 6'1, 155 lbs & 20 years old. I am having problems seeing results in the gym. I think I need to keep track of my meals, such as my Carb, proteins, and my fat intakes. I need help balancing them out so I can see results in the gym. Do I need a list of healthy foods for the week or supplements to help? Any suggestions? as for the 6 meal problem... are you able to eat 3 bigger meals? I'm 13 and I weigh roughly around 290 and I want to be 175 to 205 before i go into high school any ideas that could help me get there? I'm 15, I am 5'8" and I weigh 160 lbs and my goal weight is 149. So yah I only want to lose 11 lbs but its really hard for me. I do sports during the school year, but during the summer I sit at home (which allows me to snack whenever I want...which is a problem) studying for the next school year. I enjoy working out, but I don't always have time. So if you could help me lose those 11 lbs that would be great! I am 46yrs old, weigh 292.2 pounds. I dream of being 151 to 173 pounds, I have only last week been to GP. I am not a diabetic, my BP is 132/90. I am dependent upon husband for money, so joining a gym is not on the cards. I live in the country on an (busy) open highway road. Where do I start to loose weight and what do you recommend?I would really appreciate your expertise. Hi I am 21 years old and I weight about 195 so I am trying to loose at least 50 to 60 pounds and I wanna know what food exactly should I eat for breakfast,lunch and other 2 meal I am really confuse also if I eat eggs do I have to eat the white part only or I can eat the whole thing and also how many eggs I can eat in a day and also I really don't like brown rice is there any other rice i can have??? Sorry, my question was regarding the CLA pills. Just realized I was on a different link page..
Hi there, would taking these pills affect how I train in the gym and in general? Will it fasten the process or slow it down? And can I take supplement shakes to tone up as well as taking these pills?? CLA helps but won't make a big difference in how fast you lose weight plus if you eat right you'll get plenty of CLA in your diet. For breakfast, I eat ususally either eggs (boiled or cooked on a pan) or hot dogs. which of the two- hot dog, or eggs- is healthier for me. (I really need to alternate, as they are most abundant food in house, we finish fruit like crazy: a family of six, we finish them in one day, and only do shopping once a week). So, what can I do? Also, as for the dates, I eat two or three a day... how bad is that for me? I'd like to know if I am replacing my coffee for a Green Tea, can I drink it with sugar?